When most companies build their staff they focus on identifying the best talent in their industry, proudly trumpeting this as both a reason to join their company and for stockholders to take heart in their capacity to stay ahead of the competition. As discussed previously in this blog this can lead to a very narrow focus within a team, limiting diversity of thought. Can an organization work around this by finding someone that can force teams to stretch outside their comfort zones while still being a productive and regular member of the team? In fact, the skills required for this role have been recognized for millennia. In mythology, stories are full of trickster gods that challenged the status quo, whose role seemed on the surface to be spreading discord. Take Loki from Norse mythology. In the stories, he appears to fill many roles and is even able to take many forms as a shape shifter. His role is not to govern but rather to disrupt and to agitate. Alternately the other gods love and hate him. The role of Loki is as an antagonist – his appearance in a story drives it forward and forces the other gods to take action. Even today scholars debate his intent in the stories – his presence still causing discord, discussion, and ultimately ideation. The trickster figure is complicated in myth – they are often seen as rule breakers, sometimes malicious and sometimes not, but often to positive effect. They are problem solvers and deliver solutions – often times being the source of the innovation of fire. Even the stolid courts of the medieval period recognized this skill: the “fool” was expected to not only be funny, but to also deliver insightful and truthful commentary that would allow the leaders to more thoroughly see the world. This was the living embodiment of the trickster, an antagonist that creates change through disruption. 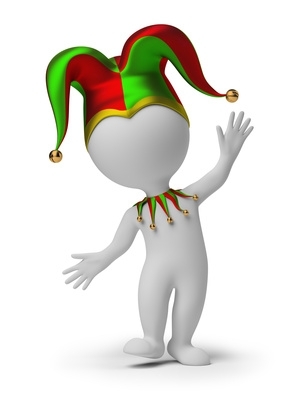 But what type of person can serve as the trickster or fool on your team? How can a person like this fit without being a disruption to the team and group dynamic. I would propose that this role can be filled by what we’d know as a generalist. The generalist is an individual with broad knowledge. Much like Thomas Jefferson or Benjamin Franklin they can fill multiple roles and careers in their life, having interests as broad as writing a new bible, creating a university, and governing the nation in the former case and writing and publishing (including the everything-you-ever-needed-to-know Poor Richard’s Almanack), amateur science, and diplomacy in the later case. The generalist has knowledge on a variety of topics, being conversant in them while having the ability to learn and acquire subject matter expertise quickly in order to leverage their broad base of knowledge. The generalist must also have the confidence to speak up. 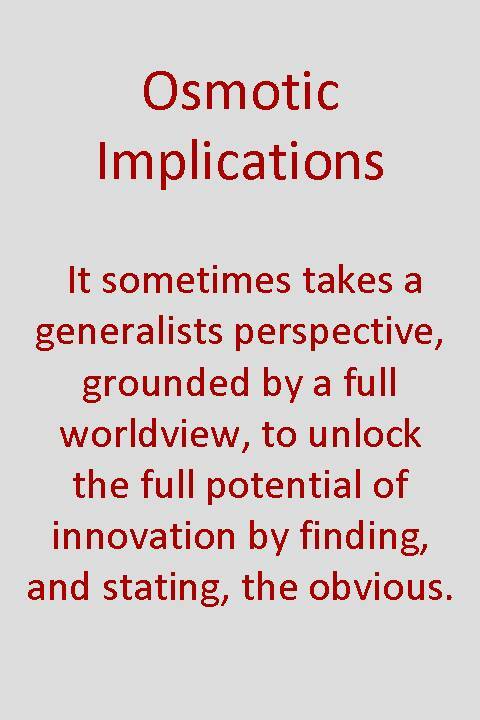 This is because the generalist also benefits through naivety – unencumbered by the certain knowledge of the status quo they are able to call it as they see it. When an idea has no clothes, but those close to the industry or technology are unable to recognize it, the generalist can demonstrate true sight, asking questions and revealing truth that will allow others to recognize something that can (with hindsight) seem rather obvious. Retaining this skill is difficult though. The generalist is at a disadvantage to peers with expertise and experience in a field and needs to have the confidence and personality to speak their mind in the face of a well-organized and entrenched opposition. Further, the complex nature of the Fools role requires them to be a very special individual, curious enough to question every detail, competent enough to understand a vast array of topics, skilled in communication to deliver their true message, and social enough to be welcomed into a team without being a threat. Ignoring this critical role can ensure that your team smoothly rockets toward mediocre innovation. Having a powerful voice in this role can boost the productivity and quality of output exponentially. The successful Osmotic Innovator knows how much resource a fool can save through practical knowledge, common sense, and deep insight. The question isn’t how to get rid of the fool on their team, but how to get more of them. This entry was posted in Culture, Innovation challenges, People, Resources, Thinking and tagged Creativity, Culture, Diversity, Innovation Teams, Innovative Culture, Management, people, teams.